The solution was obvious but I couldn’t see it! At 27 feet long by 13 feet wide, my living room is huge but the awkward proportions of the long but narrow space have always left me a little stumped when it came to furniture placement. The rug floating in the center of the room made the space feel so much smaller so when a friend suggested I try a large rug covering the entire space, it was a lightbulb moment. 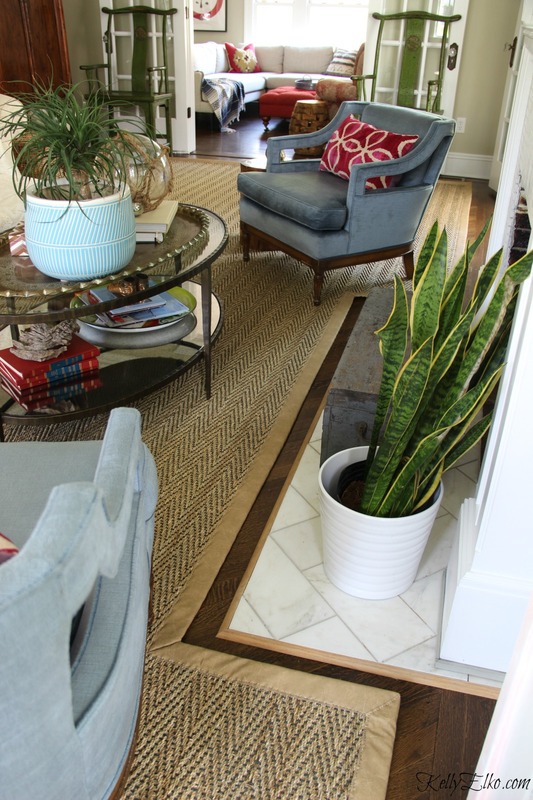 My furniture was literally crammed onto it making the room feel cramped so I did some research and was thrilled to discover and partner with Sisal Rugs Direct and their amazing selection of natural rugs from jute to sisal to seagrass. This beast of a room needed a custom rug and I wanted something neutral that could withstand teens, spills and dog slobber while still looking amazing. 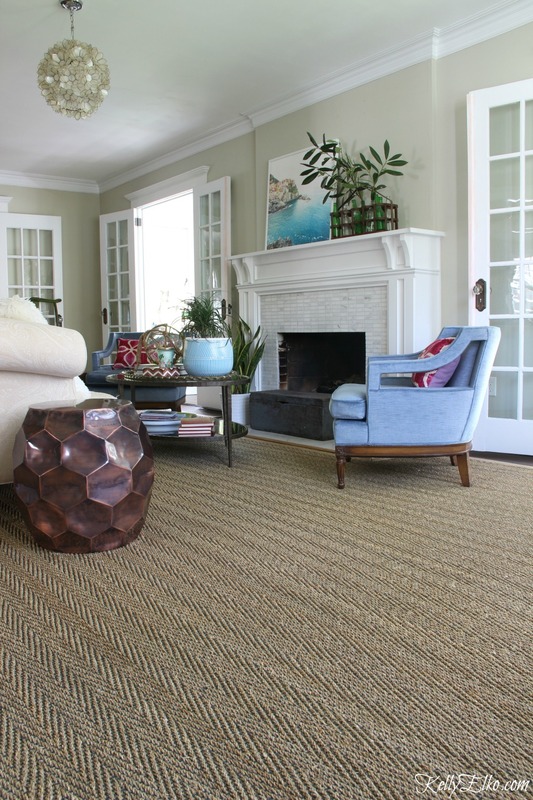 Seagrass is a workhorse that not only looks incredible but it can take a beating. 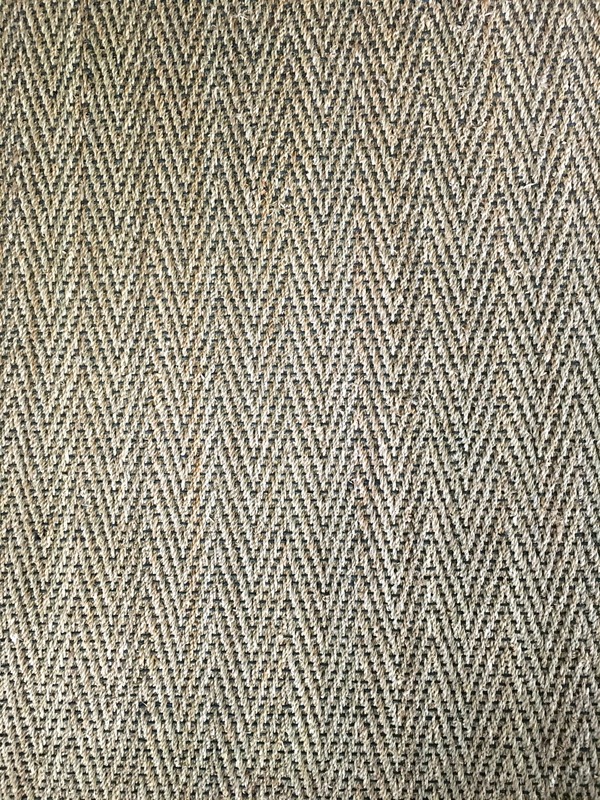 I ordered a bunch of samples of jute, sisal and seagrass in lots of patterns and colors from Sisal Rugs Direct and could not be happier with my choice! 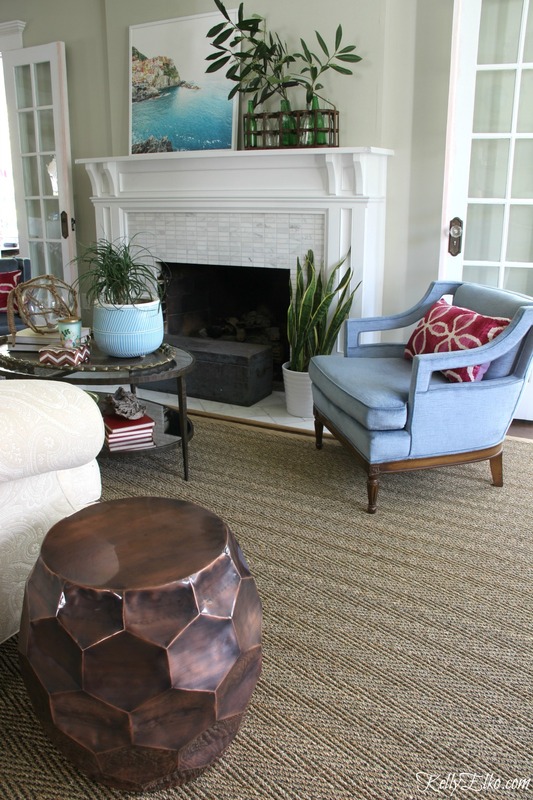 This seagrass rug with black cord weaved through and the faux leather banding adds the perfect finishing touch. Math was never my strong suit but you know what they say about measuring twice and cutting once so I was extra careful when I measured but even with all of my care, I still somehow managed to get them wrong! 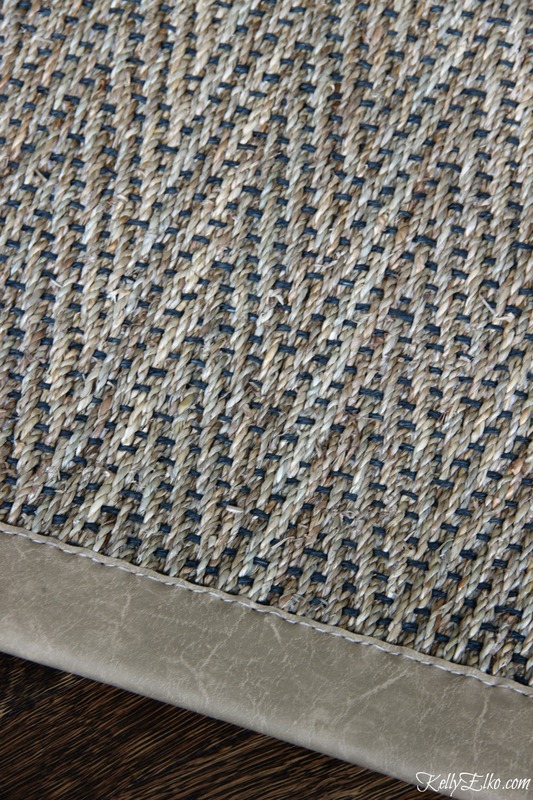 Luckily Sisal Rugs Direct noticed my mistake and emailed me so I measured once more and finally got it right. I left a foot of hardwood showing around the entire room and two feet on the window wall so as not to cover floor vents. I love the way the rug warms up the space and the black running through the rug gives it interest. 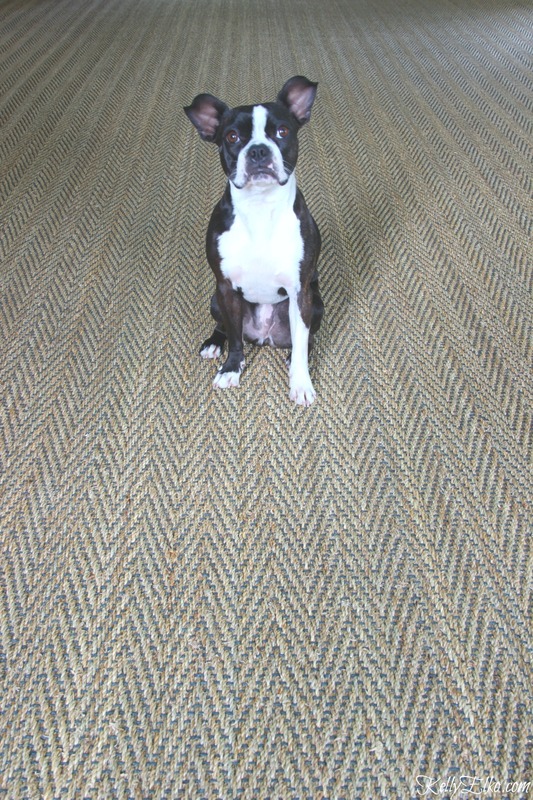 Sushi gives it four paws up although she would prefer that I keep the room furniture free so she can invite her pals over for a game of chase the tennis ball. 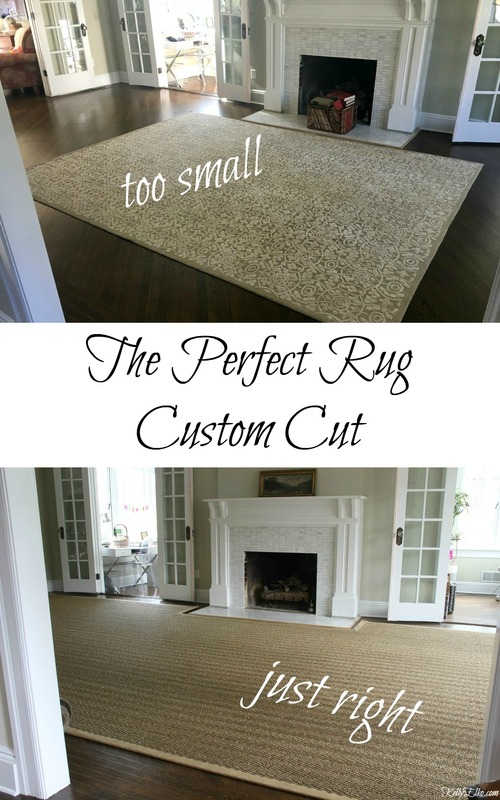 Standard rug sizes are also available so if you’re looking for a natural area rug, I can’t say enough good things about Sisal Rugs Direct. I really love the way the rug has entirely transformed my living room and it’s gotten me excited to make some new design choices! Love it!! Thanks for posting this…..believe this is exactly what I need. It looks great….things are always better when they are a perfect fit. Your new rug really adds to your room and i love the black running through it. Looks really nice. 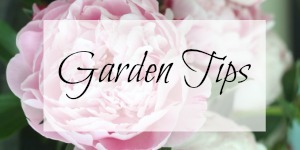 Thanks Marlene – I took quite a long time to decide but I’m glad with my choice! Curious, how comfortable is it to bare feet? Always a concern as far as my husband is concerned! Simple, clean, and all the while, elegant, too! Enjoy! Hi Kelly, I have just found you on Pinterest, and your living room is shaped just like mine, and I want a rug just like yours. 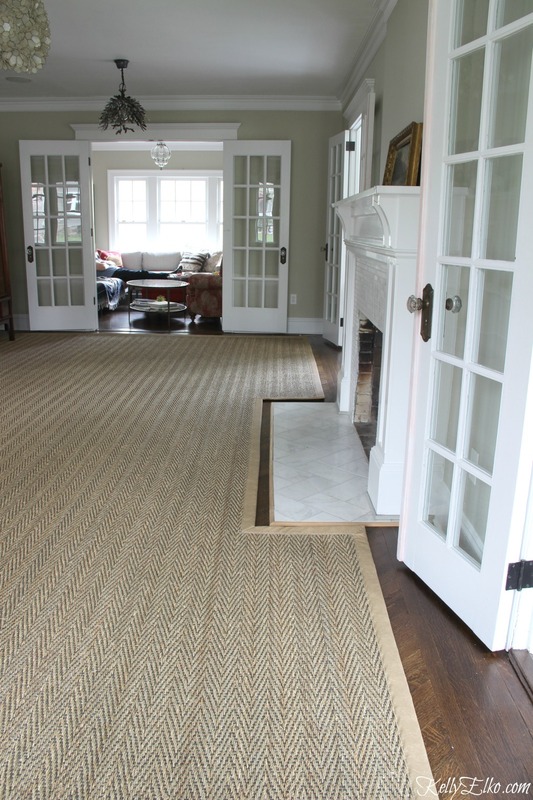 Did you deal with Sisal Rugs Direct in person or was it only over phone/email? I am hesitant to deal with such a big item without a person in sight….. Also, did you put some pad under the seagrass? From what I am reading some come with latex backing which could deteriorate over time and ruin the hardwood. 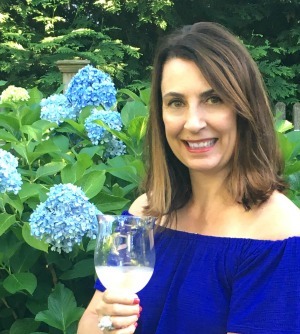 Hi Orsi – I dealt with them through email. 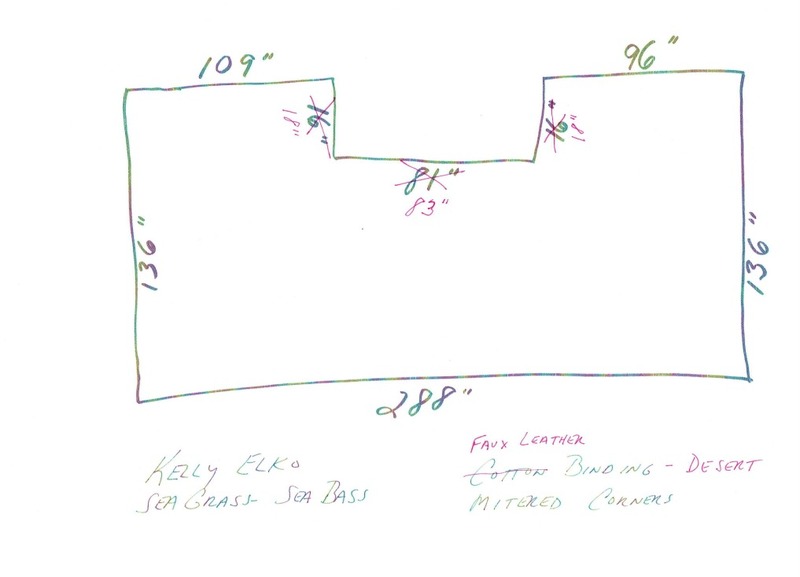 I sent them a drawing of my measurements (they actually caught a mistake I made and emailed me and we made the fix). They will mail you sample swatches of rug and trim. I did that – it really helps narrow down your choices. I did not put a pad under the rug – I’ll have to look into that. Thanks for the heads up! Did you have the rug treated with the protectant?